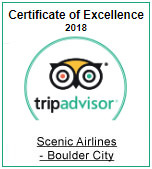 The Scenic Web Site (the "Service") is an online information and communications service provided by Grand Canyon Airlines, Inc. subject to your compliance with the terms and conditions set forth below including, all exhibits hereto. "Grand Canyon Airlines" design is a registered trademark of Grand Canyon Airlines in the United States and other countries. Other marks which appear on this Web site may be marks of third parties that are not affiliated with Grand Canyon Airlines. Grand Canyon Airlines and its affiliates do not control or endorse the content of third party Web sites. Please read this Agreement carefully before accessing or using the Service. By accessing or using the Service, you agree to be bound by the terms and conditions set forth below. If you do not wish to be bound by these terms and conditions, you may not access or use the Service. If you utilize the Service in a manner inconsistent with these terms and conditions, Grand Canyon Airlines may terminate your access, block your future access and/or seek such additional relief as the circumstances of your misuse indicate is proper. Grand Canyon Airlines may modify this Agreement at any time, and such modifications shall be effective immediately upon posting of the modified Agreement. You agree to review the Agreement periodically to be aware of such modifications and your continued access or use of the Service shall be deemed your conclusive acceptance of the modified Agreement. 1. Operating Policies. You agree to comply with the Operating Policies set forth in Exhibit A (as they may be amended by Grand Canyon Airlines from time to time), which are the rules that govern your activity in connection with the Service. Grand Canyon Airlines has the right but not the obligation to remove any communications and materials that Grand Canyon Airlines believes in its sole discretion violate the Operating Policies. 2. Copyright, Licenses, Images and Idea Submissions. The entire contents of the Service are copyrighted under the United States copyright laws. The owner of the copyright is Grand Canyon Airlines. You may print and download portions of material from the different areas of the Service solely for your own non-commercial use. You may make: (a) one machine readable copy, (b) one backup copy, and (c) one print copy of any portions of material downloaded from the different areas of the Service solely for your non-commercial use. Any other copying, redistribution, retransmission or publication of any downloaded material, is strictly prohibited without the express written consent of Grand Canyon Airlines or any third party information provider to the Service. You agree not to change or delete any proprietary notices from materials downloaded from the Service. You agree to grant to Grand Canyon Airlines a non-exclusive, royalty-free, worldwide, perpetual license, with the right to sublicense, to reproduce, distribute, transmit, create derivative works of, publicly display and publicly perform any materials and other information (including, without limitation, ideas contained therein for new or improved products and services) you submit to public areas of the Service (such as bulletin boards, forums and newsgroups) by all means and in any media now known or hereafter developed. You also grant to Grand Canyon Airlines the right to use your name in connection with the submitted materials and other information as well as in connection with all advertising, marketing and promotional material related thereto. 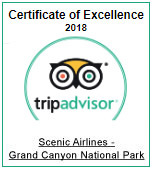 You agree that you shall have no recourse against Grand Canyon Airlines for any alleged or actual infringement or misappropriation of any proprietary right in your communications to us. 3. Use of the Service. You understand that, except for information, products or services clearly identified as being supplied by Grand Canyon Airlines, Grand Canyon Airlines does not operate, control or endorse any information, products or services on the Internet in any way. Except for Grand Canyon Airlines-identified information, products or services, all information, products and services offered through the Service or on the Internet generally are offered by third parties that are not affiliated with Grand Canyon Airlines. You also understand that Grand Canyon Airlines cannot and does not guarantee or warrant that files available for downloading through the Service will be free of infection or viruses, worms, Trojan horses or other code that manifest contaminating or destructive properties. You are responsible for implementing sufficient procedures and checkpoints to satisfy your particular requirements for accuracy of data input and output, and for maintaining a means external to the Service for the reconstruction of any lost data. You assume total responsibility and risk for your use of the Service and the Internet. Grand Canyon Airlines does not make any express or implied warranties, representations or endorsements whatsoever (including without limitation warranties of title or non infringement, or the implied warranties of merchantability or fitness for a particular purpose) with regard to the Service, any merchandise, information or service provided through the Service or on the Internet generally, and Grand Canyon Airlines shall not be liable for any cost or damage arising either directly or indirectly from any such transaction. It is solely your responsibility to evaluate the accuracy, completeness and usefulness of all opinions, advice, services, merchandise and other information provided through the Service or on the Internet generally. Grand Canyon Airlines does not warrant that the Service will be uninterrupted or error-free or that defects in the Service will be corrected. The Service and any software made available on the Service are provided on an "as is, as available" basis. Grand Canyon Airlines reserves the right to increase it's fares for operational cost increases, including fuel costs, that are beyond our control. In no event will Grand Canyon Airlines be liable for (I) any incidental, consequential, or indirect damages (including, but not limited to, damages for loss of profits, business interruption, loss of programs or information, and the like) arising out of the use of or inability to use the Service, or any information, or transactions provided on the Service or downloaded or hyperlinked from the Service, even if Grand Canyon Airlines or its authorized representatives have been advised of the possibility of such damages, or (II) any claim attributable to errors, omissions, or other inaccuracies in the Service and/or materials or information downloaded through, or hyperlinked from, the Service. Because some states do not allow the exclusion or limitation of liability for consequential or incidental damages, the above limitation may not apply to you. In such states, Grand Canyon Airlines' liability is limited to the greatest extent permitted by law. 4. Indemnification. You agree to indemnify, defend and hold harmless Grand Canyon Airlines, its officers, directors, employees, agents, licensors, suppliers and any third party information providers to the Service from and against all losses, expenses, damages and costs, including reasonable attorneys' fees, resulting from any violation of this Agreement by you. 5. Third Party Rights. The provisions of paragraphs 3 (Use of the Service), and 4 (Indemnifi- cation) are for the benefit of Grand Canyon Airlines and its officers, directors, employees, agents, licensors, suppliers, and any third party information providers to the Service. Each of these individuals or entities shall have the right to assert and enforce those provisions directly against you on its own behalf. 6. Term; Termination. This Agreement may be terminated by either party without notice at any time for any reason; provided that you may no longer use the Service after you have terminated this Agreement. The provisions of paragraphs 2 (Copyright, Licenses, Images and Idea Submissions), 3 (Use of the Service), 4 (Indemnification), 5 (Third Party Rights) and 7 (Miscellaneous) shall survive any termination of this Agreement. 7. Miscellaneous. This Agreement shall all be governed and construed in accordance with the laws of the State of Nevada applicable to agreements made and to be performed in Nevada. You agree that any legal action or proceeding between Grand Canyon Airlines and you for any purpose concerning this Agreement or the parties' obligations hereunder shall be brought exclusively in a federal or state court of competent jurisdiction sitting in Nevada. Any cause of action or claim you may have with respect to the Service must be commenced within one (1) year after the claim or cause of action arises or such claim or cause of action is barred. Grand Canyon Airlines' failure to insist upon or enforce strict performance of any provision of this Agreement shall not be construed as a waiver of any provision or right. Neither the course of conduct between the parties nor trade practice shall act to modify any provision of this Agreement. Grand Canyon Airlines may assign its rights and duties under this Agreement to any party at any time without notice to you. i. Unless you are participating in an area of the Service that requires or encourages anonymity, use your real name in online communications. ii. You may not post or transmit any message which is libelous, defamatory or which discloses private or personal matters concerning any person. You may not post or transmit any message, data, image or program which is indecent, obscene or pornographic. iii. You may not post or transmit any message, data, image or program that would violate the property rights of others, including unauthorized copyrighted text, images or programs, trade secrets or other confidential proprietary information, and trademarks or service marks used in an infringing fashion. iv. You may not interfere with other users use of the Service. v. You may not use any robot, spider, or other automatic device or process to monitor or copy our web pages or any portion of the content contained herein without our express written permission. vi. You may not post or transmit any file which contains viruses, worms, "Trojan horses" or any other contaminating or destructive features. vii. You may not post or transmit any message which is harmful, threatening, abusive or hateful. It is not the Service's intent to discourage you from taking controversial positions or expressing vigorously what may be unpopular views; however, Grand Canyon Airlines reserves the right to take such action as it deems appropriate in cases where the Service is used to disseminate statements which are deeply and widely offensive and/or harmful. viii. You may not post or transmit charity requests, petitions for signatures, chain letters or letters relating to pyramid schemes. You may not post or transmit any advertising, promotional materials or any other solicitation of other users of the Service for goods or services except in those areas (e.g., a classified bulletin board) that are designated for such purpose. ix. You may not post or list articles which are off-topic according to the description of the group or list or send unsolicited mass e-mailings to 10 people or more if such e-mail could reasonably be expected to provoke complaints from its recipients. x. You may not use the facilities and capabilities of the Service to conduct any activity or solicit the performance of any illegal activity or other activity which infringes the rights of others.